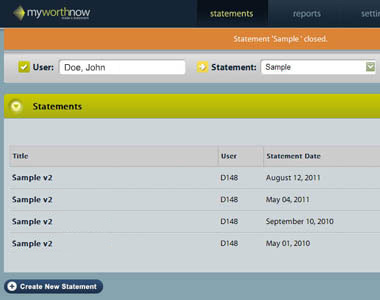 MyWorthNow is the leading software solution for streamlining the process for creating personal financial statements. 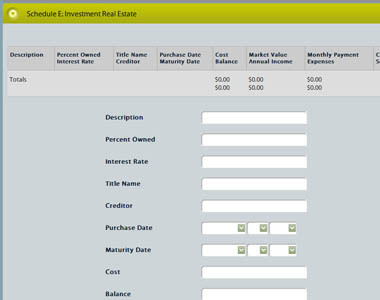 Designed as a time-saving solution for individuals, financial and estate planners, accountants and even the banks that serve them, our Web-based software tool is user-friendly and easily customizable to your specific financial situation. 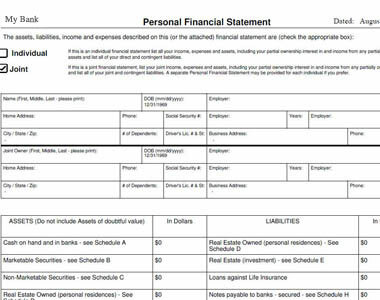 Our service simplifies the entire process by securely storing and updating the information necessary to automatically generate a personal financial statement. 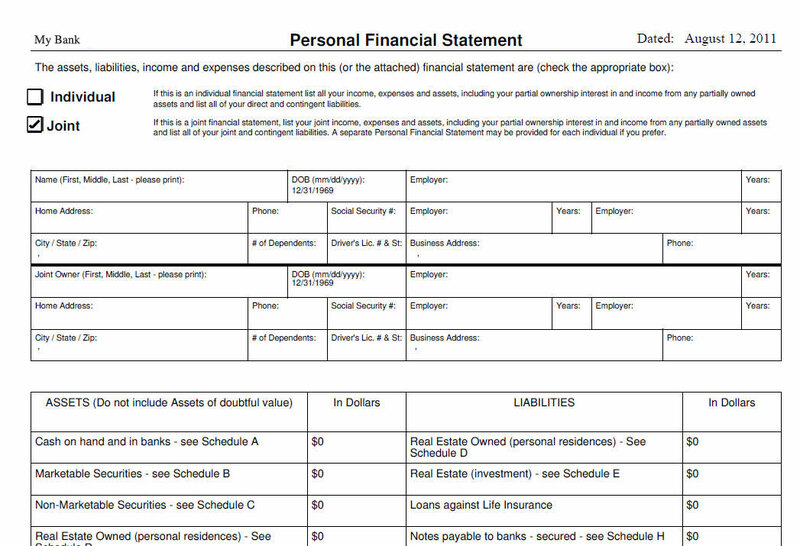 In just minutes, you can calculate your net worth, as well as easily update and maintain your personal financial statement. 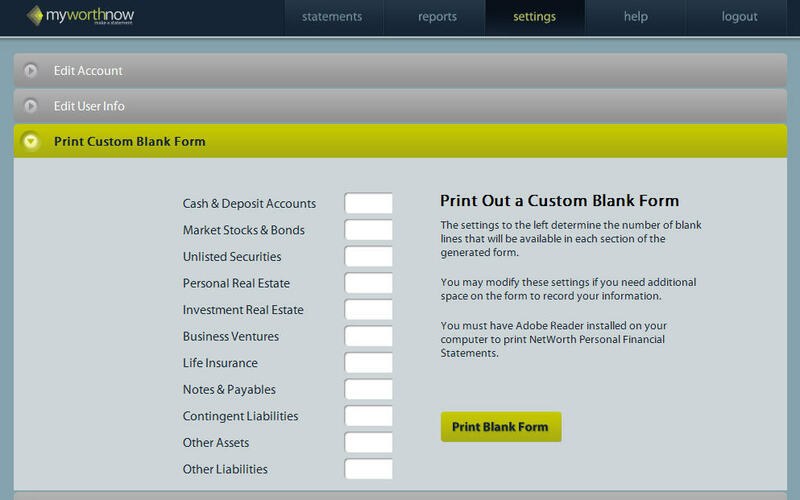 By offering a secure, encrypted online environment, our subscribers are able to efficiently process as many customized financial statements as required in just minutes. 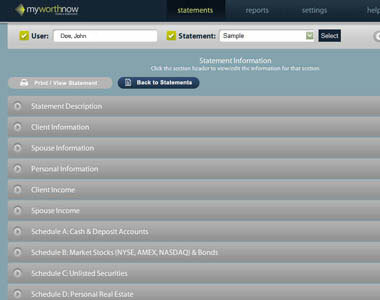 A simple solution to a tedious process, MyWorthNow stores your financial data for quick and easy updates to your personal financial statements. 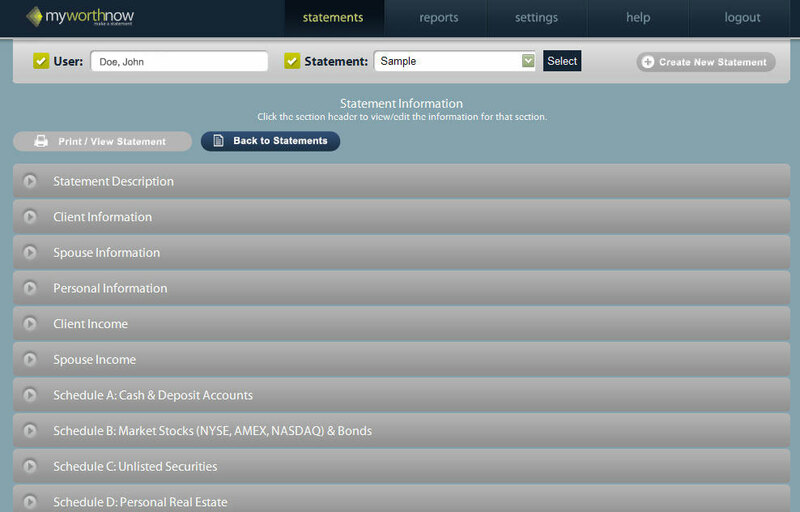 A one-of-a-kind proprietary financial solution, MyWorthNow was developed specifically to solve your statement needs. 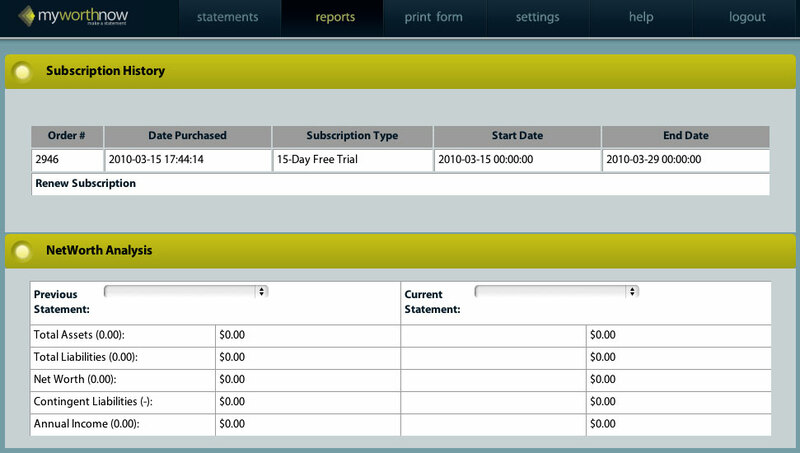 Our solution streamlines the entire financial statement process and is user-friendly and customizable to your individual financial situation. 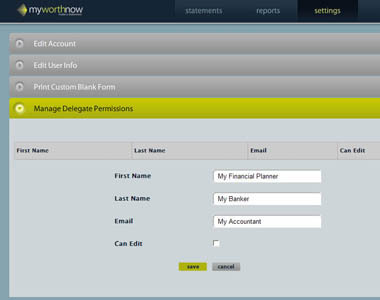 A yearly subscription to MyWorthNow will save you valuable hours of time and unnecessary frustration. 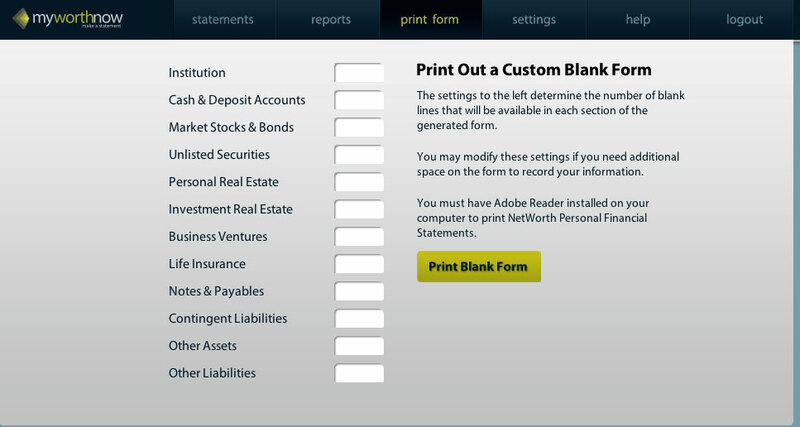 MyWorthNow keeps your data secure by using the same encrypted security measures offered by banks and other financial institutions. 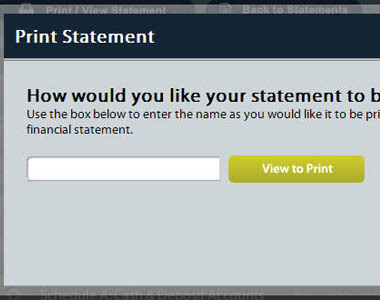 Your personal information stays protected in a secure online environment designed to keep your information and credentials safe so they are not compromised. 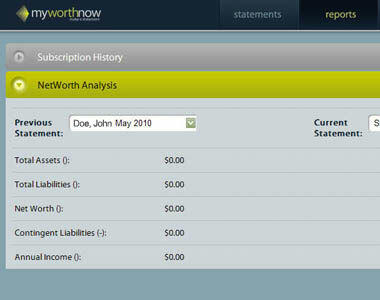 Use MyWorthNow to quickly create personal financial statements and calculate your net worth without jeopardizing your identity. 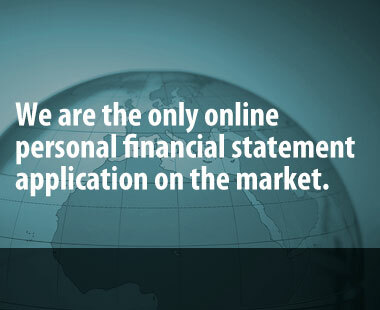 Only you and your chosen delegates have access to your personal financial information stored in your account. 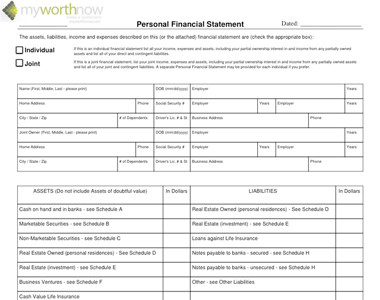 Founded by Scott D. Dawson Jr., MyWorthNow has grown to become a dynamic team of professionals working for a better solution for generating personal financial statements. 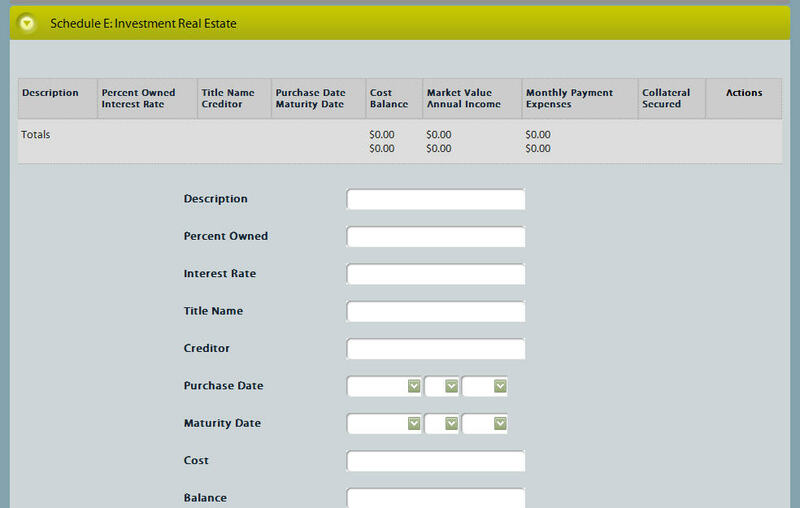 Inspired by his own experiences as a real estate developer, Scott created MyWorthNow (formerly MyNetWorthNow) to simplify and to streamline the process of generating personal financial statements. 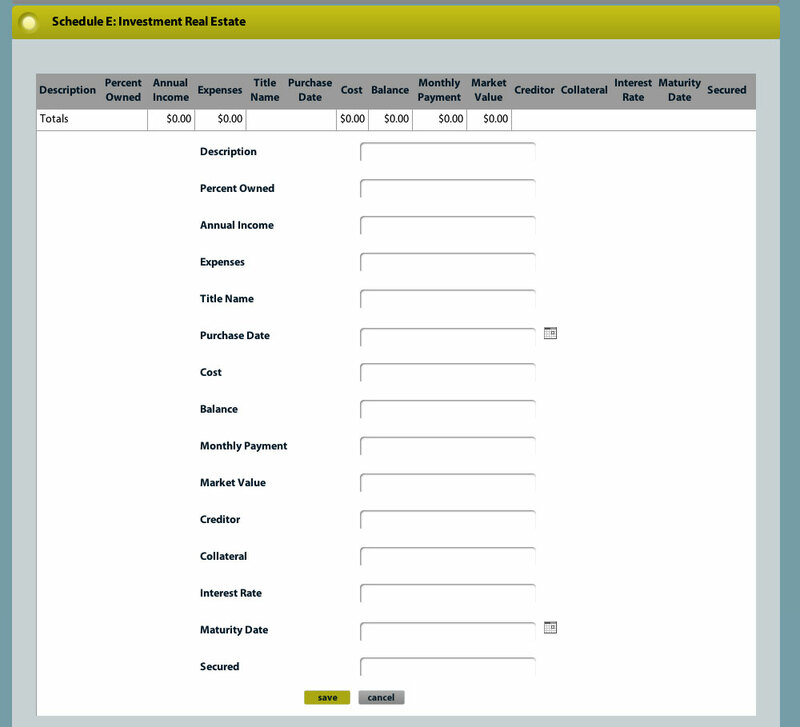 As a regular borrower to fund his real estate projects, he was constantly required to provide up-to-date personal financial statements for multiple projects to multiple lenders and saw the need for an easier solution for generating comprehensive personal financial statements. 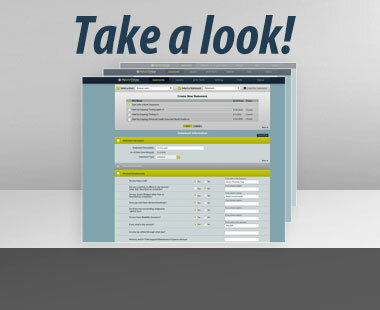 Scott designed MyWorthNow to meet the needs of people who value their own financial goals and time, as well as fulfilling banking regulations and heightened lending requirements. 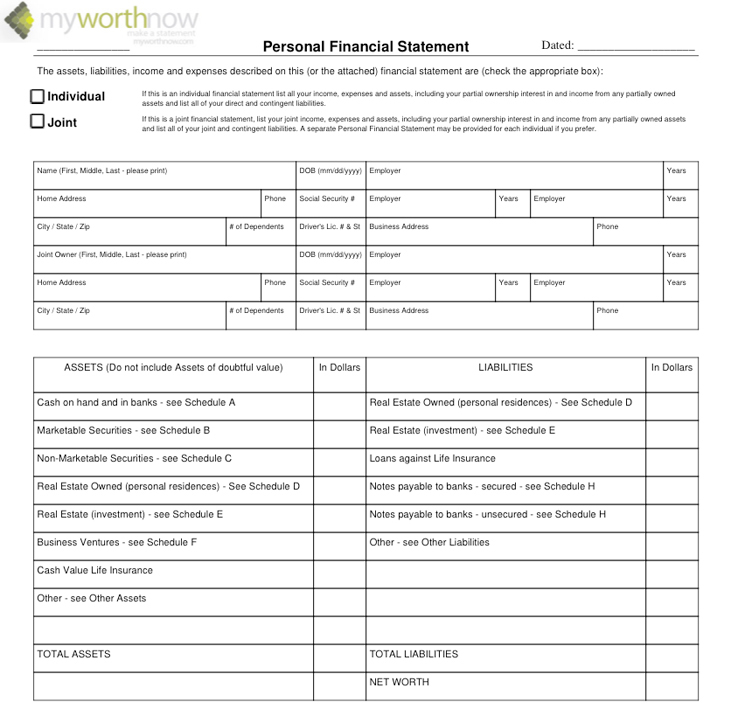 MyWorthNow is an affordable solution that will save you the time and the hassle involved in the personal financial statement creation process. 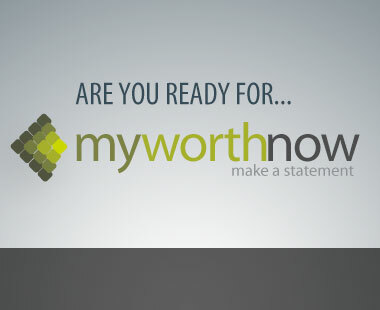 Select the MyWorthNow subscription plan that's best for you. We have pre-selected the plan that's the best deal. 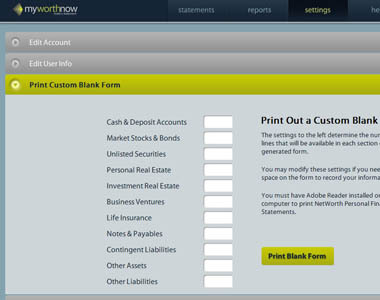 MyWorthNow's leading software solution for creating custom personal financial statements in just minutes. 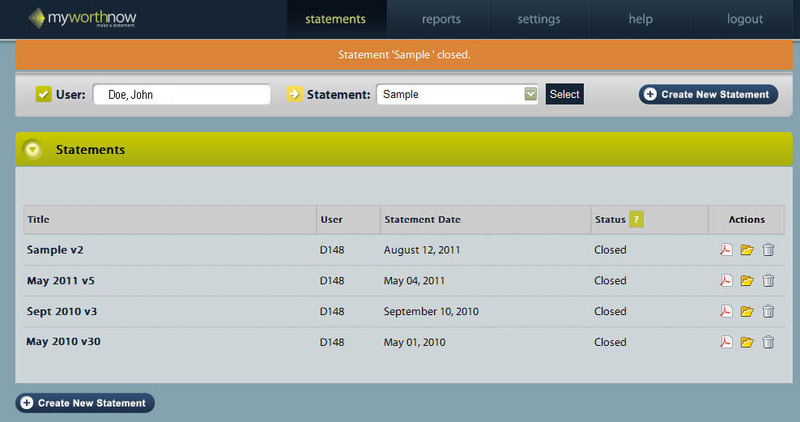 We save you valuable time and effort by storing your data in a secure online environment. 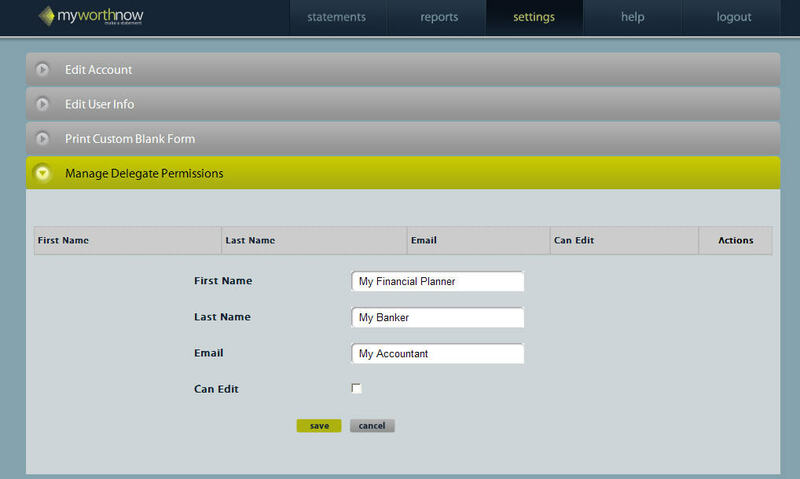 PLUS access to our advanced features, like the ability to assign account delegates and use the easy comparison function that allows users to compare two chosen statements at the click of a button.